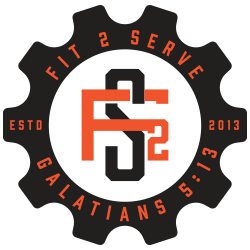 Fit 2 Serve (Masters class) incorporates the same methodologies as the traditional CrossFit program but has been developed for individuals 50 years and older. Our goal is to improve your quality of life and increase your longevity. We focus on constantly varied workouts with functional movements, but we manage the intensity to stay within a certain heart rate so that you can recover appropriately. We want you to “use it,” so you don’t “lose it”! As your body adjusts to the CrossFit style and you increase your strength, flexibility and cardiovascular conditioning, you will be able work harder over a longer period of time. With this, your overall fitness will improve and you’ll see it translate to your daily life through increased stamina, balance, strength, endurance, coordination and agility. Your children and grandchildren won’t be able to keep up with you!